If you are planning to sit for the IBLCE Exam, knowing your terminology is a basic key to success! Use this list to help you identify terms you don't know, improve your exam score, and your clinical skills. Whether you are sitting for the first time or recertifying, review Marie's handy list of lactation terms you should know. 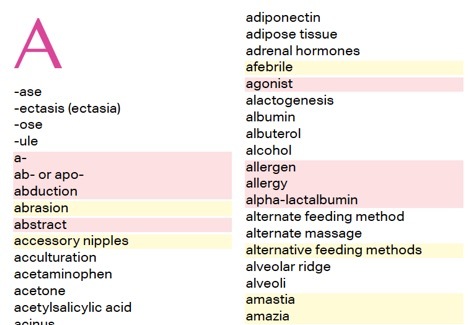 There are approximately 1000 terms that pertain to breastfeeding and lactation in this FREE master list.